I'm 17 yrs old 5'10 and weight 150. I've been having sleeping paralysis (I think thats what I have with all the stories a have read) since about 2 or 3 years ago. It hasn't happened lately, maybe the last time it happened was 4 months ago, but every time it does it's the same. It's pretty weird because when it happens I'm always in the middle of my bed and always face up. It has never happen when I'm face down. So now when I sleep I try to sleep face down every night. When it happens I want to scream, but I can't. I try to move around, but I can't. I can't do anything. But one time I actually felt like their was a spider in my arm going up, but I looked over (that's the only thing I can move are my eyes) and there was nothing there. I usually hear like a messed up radio station. I've never heard anything else. I actually have never seen anything either. And i hope it stays that way. I'm scared that I'll have that for the rest of my life or it will happen again. It has actually happened when I'm sleeping next to someone too. I play soccer, I'm pretty fit, I get around 7 or 6 hours of sleep every night and I eat kinda healthy. I don't know why it would happen to me? Every time when I'm able to move again I sit up and pray to God to protect me. I do believe in God, I'm Christian. I'm not a perfect guy, nor try to be a hypocrite. I'm scared that one day my kids will have the same problem that I'm having or the kids of my kids. I don't want to continue this to my family generation. If there's anyone who has actually find a way to stop this please let me know. I didn't want to tell anyone that this happens to me. I haven't told my parents or any family members or any one that I know. If you're reading this you're the first person I have actually told this to. Thanks for sharing your story Moises. Don't worry, it's a very common thing to experience sleep paralysis. It's just that not many people talk about it, so people don't realize how common it is. It's due to a natural process in our body called REM atonia, and you can read about how it happens here. Also, you mentioned wanting to know about how to stop it. 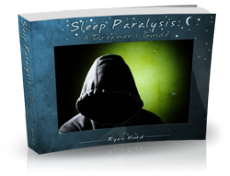 The best book I know about that is a short little book by Ryan Hurd, which you can read about on our Sleep Paralysis Treatment page here. 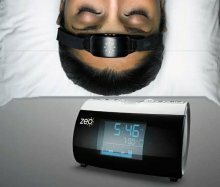 I had sleep paralysis upon waking, and going to sleep intermittently from about age 8 until I was in my early twenties. The falling asleep one was terrifying, but the waking in the morning was just irritating. However, I did outgrow it. I think I needed more sleep than I was getting. Certainly the night episodes happened very abruptly and I was usually dog tired. Take care of to get good sleep and good food, and pay attention to your personal feeling of having adequate control over your own life -- it worked for me.